Sydney Cianciola is not only an astounding student at Canfield High School but a hard working, dedicated, and persevering young athlete. Cianciola’s skills were put to the test in 2016, her sophomore year of high school, when her and her sister were challenged at the State competition for high school tennis. “I’ve been playing tennis for a long time, I probably started when I was around four or five,” Cianciola stated. She has given up many years of her life dedicated to the sport of tennis. Cianciola feels as if she has missed out on many school events and hanging out with her friends, however, she has never lost her love for the sport. She then went on to explain that her and her sister were expected to win state once they had made it to ‘the second day’ because they were first seed in the Northeast district. As state was approaching, Cianciola practiced more than normal, but she kept her dedication and was determined to be successful at state. However, there were some conflicts along the way. 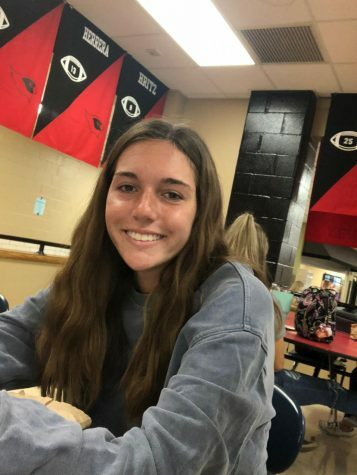 Even though Cianciola has given up much of her social life due to tennis, she has decided to follow in her siblings footsteps and continue her athletic career in college.